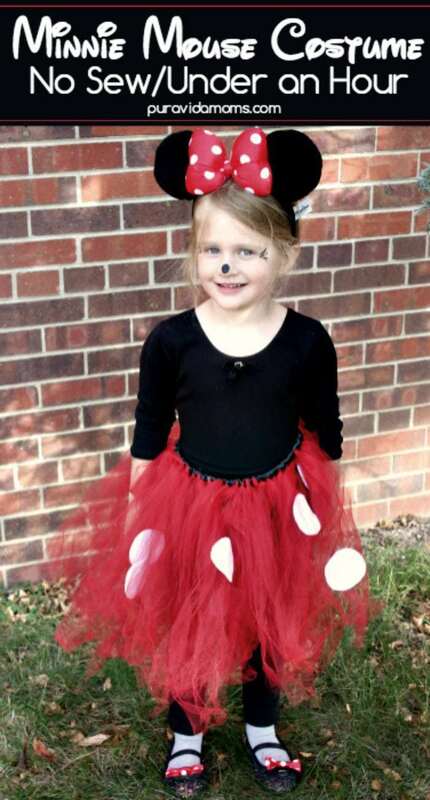 This adorable no sew Minnie Mouse costume is super easy to make, won’t break the bank, and looks super cute! 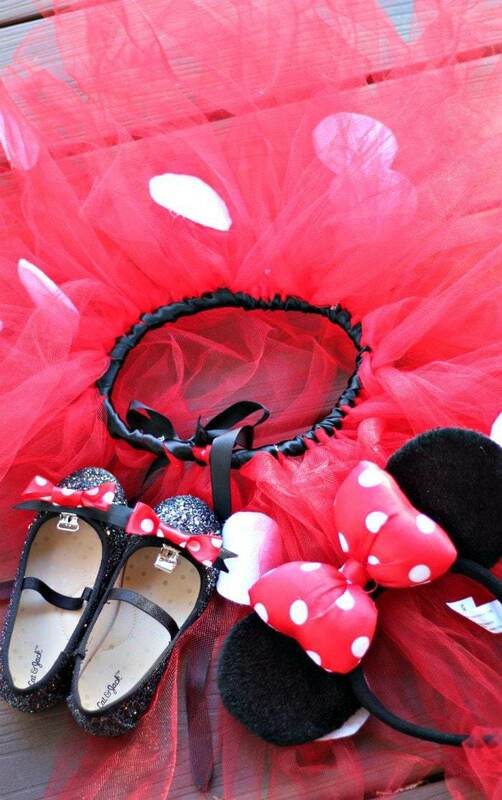 Includes step by step instructions for the tutu and the bows, and materials information with shopping lists. Love my hair? Click on the photo for my 5 minute easy updo for moms! Big Sister was in a total Minnie Mouse phase- I had bought this used Minnie Mouse costume from a neighborhood Swap site and she wore it EVERYWHERE. The costume was dirty, too big and had holes in it, but she was adamant about wearing it for Halloween. And I’ll admit a little vanity here- I did not want her walking the school Halloween parade and the streets of our neighborhood in a raggedy Halloween costume. 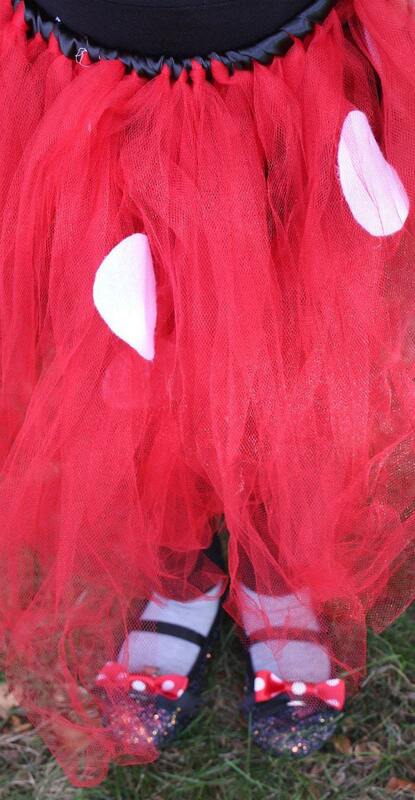 I wanted her to be the absolute cutest Minnie Mouse ever- which she was! 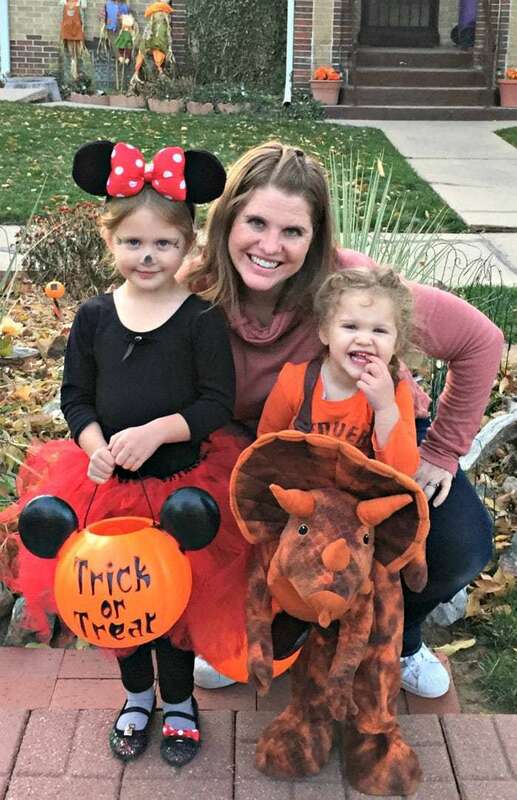 And it was so easy- with a few simple craft items I found at Walmart, I made her no sew Minnie Mouse costume for Halloween while I watched an episode of This Is Us (obsessed!). The costume was easy, cheap and adorable. I love making a personalized costume that no other kid has, and that doesn’t break the bank! I also love that the clothes that go under the costume can be changed out if it’s hot or cold at Halloween- we never know if we are going to get snow or a balmy day! In this post, I’m including affiliate links for an Amazon order so you can just cart everything and create when the materials arrive (the materials will cost more, but time is money, right?) You can also find everything you need at most craft stores like Michaels or Joann- but I just went to Walmart and they had everything in stock. 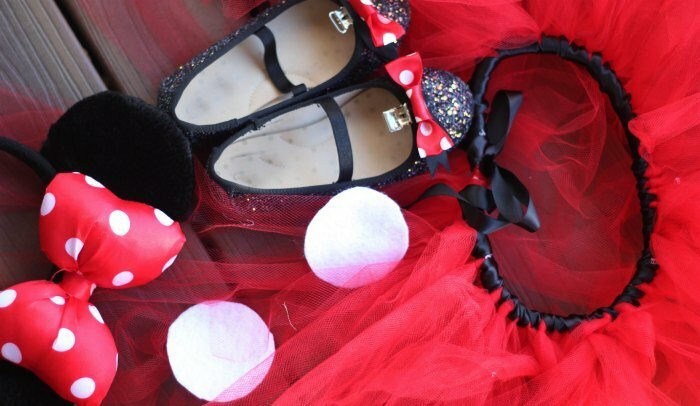 Here’s how to make the most adorable no sew Minnie Mouse costume in under an hour! I grabbed all of these at Walmart in the Granimals section- everything was $3.88 except the shoes were the ones we used from Christmas the previous year. You’ll need a pair of Minnie Mouse ears, and I like these options from Amazon Prime- especially since they come quickly. For the tutu I broke it down into four simple steps. Cut and measure the elastic according to the size you need. 3 years old is about 18″, 4 years old 20″ and 5 years old 21″. I added about three inches to tie the knot at the end. Next cut the tulle into 24″ sections. 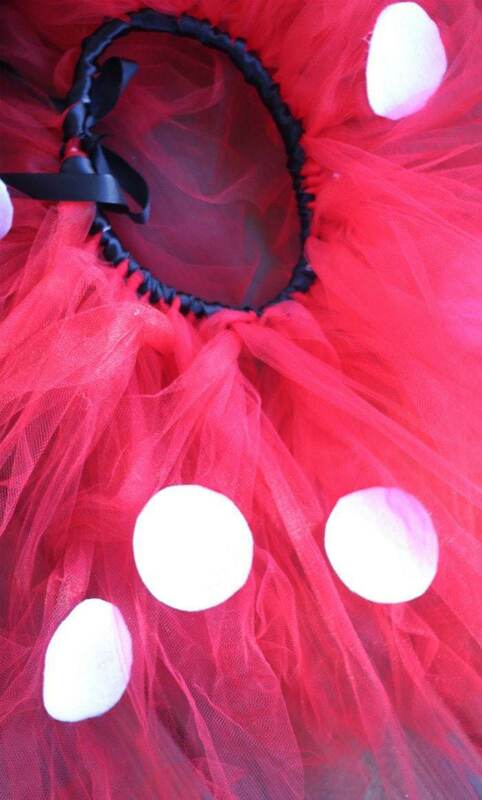 About 1″ from the end of the elastic, start to create your tutu. To do this, you will fold each piece of tulle in half. With the loop at the top, bring the ends through the loop and pull tightly. Continue doing this almost to the end of the elastic, and then tie the ends off to make a circle. 3. I added an extra step which was to loop satin ribbon around the waist of the tutu and to tie it off at the end with a big bow- I just wanted the finished look. Completely optional though. 4. Next decide how large you want your white felt circles to be. I used a small Ball jar to trace the circles with a pen and then cut them out- I think it did about 12. Heat up your hot glue gun and stick them on. Done! I wanted to have just a little extra touch of something fun on my daughter’s shoes for this costume- so I decided to make some little shoe bows. I just used the bow tutorial here and made the bows about 1 1/2″ long. I then stuck them with hot glue onto some suspender clips and put them on the shoes. It was adorable! Once we we had all the parts of the costume ready to go, I just added some cute whiskers and a black button nose using my black eyeliner, and we were good to go! My daughter was super happy with the costume and I had fun making it- so I’d call that a win/win! Do you have a favorite new sew costume? I’m always looking for ideas! Add them in the comments below!